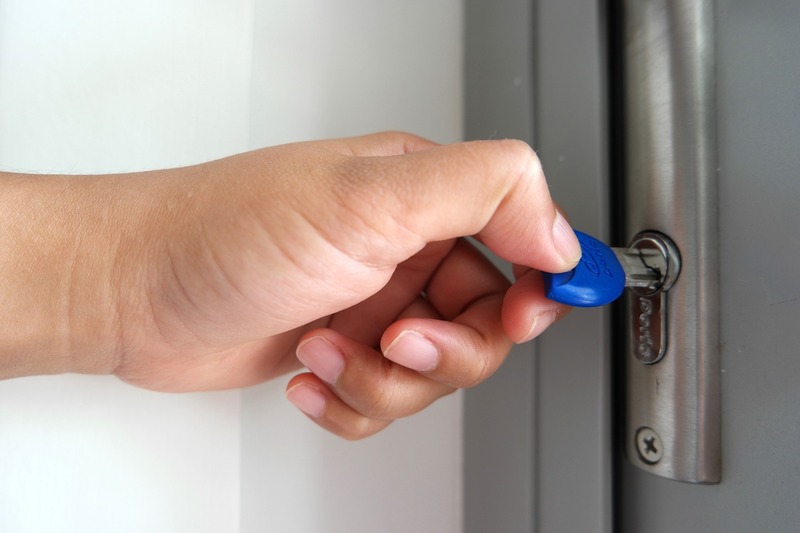 Ensuring optimal security for your rental property can have numerous benefits for your business in terms of property value in the competitive market, asset protection, and increased reputation. Once your old tenants have moved out, you might want to take your rental property off the market for a few days in order to improve its security features and introduce modern solutions that will yield a greater ROI and take your rental business to the next level. While it might seem at first glance that this would be a costly and time-consuming project, you can rest easy knowing that there are affordable and effective solutions that you can introduce in a matter of days. Without further ado, here is your roadmap towards a fully secure rental property. Let’s get the most expensive option out of the way first, shall we? While installing security cameras around the property and connecting them to a monitoring system in the interior (or your residence via Wi-Fi) shouldn’t take more than a weekend to complete, it might not be the most affordable option, especially if the cameras have full HD resolution. Nevertheless, installing security cameras is one of the most effective home security solutions that work great at deterring home invaders from the property, and providing crucial evidence should a break-in occur. You can tie in your outdoor and indoor lighting with the surveillance system to make capturing perpetrators easier, but simply making sure that the property is adequately illuminated at all times is enough to thwart the majority of threats. So, make sure the pathways leading to the front door, the garage and the back door are properly illuminated. You can also consider installing motion sensor lighting in order to stop potential home invaders in their tracks and even spook them off. This will give your security cameras a change to snap several decently-illuminated photos as well. If you have time to spare and finances to invest, you can upgrade the entire door from a traditional model to a heavy-duty one, but if not, then upgrading the locking mechanism only will be enough to provide adequate protection. The locking mechanism is your last line of defence against assailants, so make sure you install deadbolt locks and chain locks. It’s also imperative that you have a trusted 24-hour emergency locksmith in your address book ready to come to the tenants’ aid should they get locked out, or if a lock needs fixing quickly. Don’t forget to install a peephole that prevents anyone from looking inside, and make sure that the intercom system is functioning properly at all times. The window is where they get you. If you’re renting a house, every window is a potential break-in spot that every home invader will examine thoroughly and take advantage of if they notice a weakness in your security system. It’s a good idea to install security bars on the windows; however, that is often an unsightly addition people won’t enjoy looking at on a daily basis. Instead, simply make sure every window can be locked from the inside, and consider extending your security alarm to these areas as well. Speaking of, it’s always a good idea to have an alarm system in place that will promptly notify the police of an unauthorised entry. You can opt for a traditional digit pad console or a more modern, touchpad model. Alternatively, you can also eliminate the need for a console altogether, and introduce a Wi-Fi, app-based alarm system your tenants can access and control from their smartphones. This will make bypassing the alarm almost impossible for home invaders. Ensuring stellar rental security and safety is not only important for attracting long-term tenants, but it also has numerous benefits in terms of market value, return on investment, and the reputation of your company. With these essential solutions in mind, you will have an easier time elevating the security of your rental property and paving the road to a prosperous future in the industry.